How cute is this festive dinosaur couple? A perfect Christmas card for a couple who are going to be celebrating their first Christmas together as husband and wife. Happy First Christmas as Husband & Wife. The card is available in A5 size and also A6 size and is blank inside for your own special message. The A5 card (only) can be personalised, you can change the "Mr & Mrs" phrase to "Mr & Mrs Surname". Enter the surname you would like on this card. 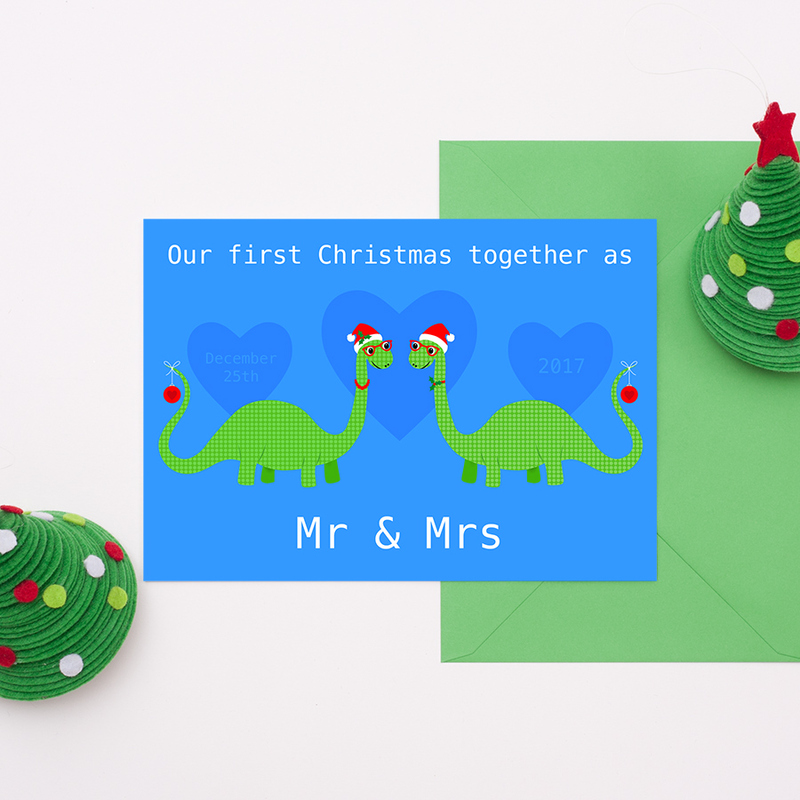 Be the first to review “First Christmas As Mr & Mrs – Dinosaur Christmas Card” Click here to cancel reply.